ACCRA (GHANAWEB)--The government will sign a Memorandum of Understanding with a health service provider this week that would enable the country to use drone technology to deliver blood supplies and essential medicines to remote communities by September, this year. Dr Bawumia said government was fashioning out innovative means to enhancing healthcare financing and expressed optimism that by June this year, it would come out with new financing approaches for sustainable healthcare financing in the country. 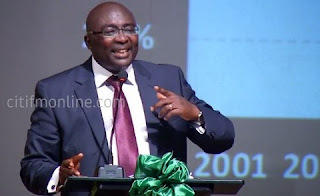 Vice President Bawumia said although the preliminary results of the recently conducted maternal mortality surveys showed a substantial improvement in indices of health services the fact still remained that there were unacceptable high number of mothers and children in various health facilities across the country receiving treatment of various ailments and health complications.